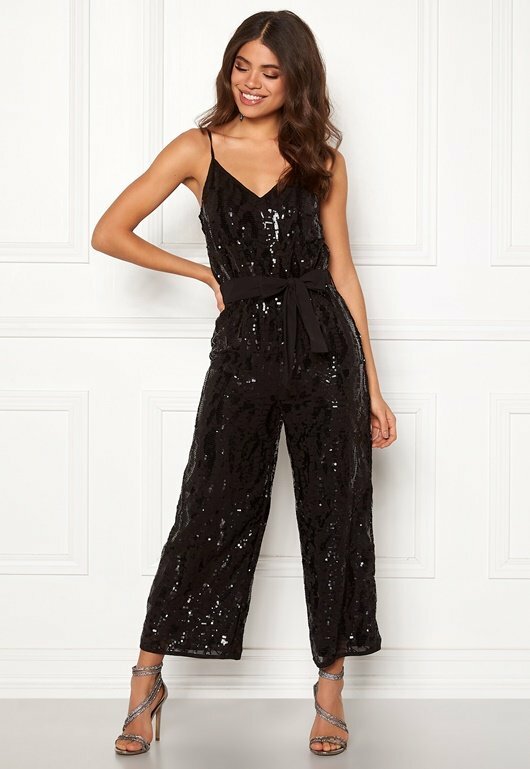 Gorgeous jumpsuit with sequins from OBJECT. The jumpsuit has stylish details and is perfect for parties. - Nonstretch, woven quality - Decorated with sequins - Tie waist (detachable) - Narrow, adjustable shoulder straps - Back closure with fabric-covered buttons - Wide legs - V-neck - Lined - Subtly see-through fabric Inside leg 63 cm, front rise 30 cm, bust 84 cm in size 36. The model is 176 cm tall and wears a size 36. Handwash only.